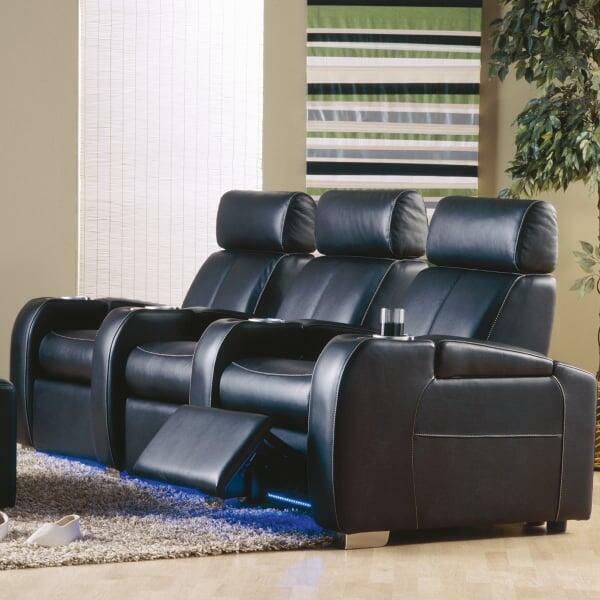 Mimicking the look of seats found in French sport racers and touring cars, the Lemans Home Theater Seats from Palliser offer a Grand Prix style perfect for the homeowner that loves watching chase scenes with Steve McQueen and racing movies with Tom Cruise. Palliser copies existing automobile interiors for the sleek, contoured design, which is available in various fabric and leather colors, allowing owners the opportunity to create a custom appearance. 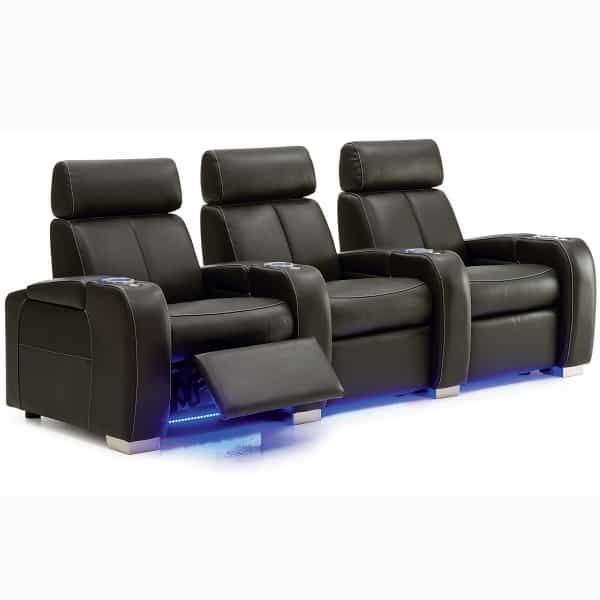 Your private cinema will not only provide a unique look but a unique viewing experience, with each seat offering upgrades and enhancements such as LED ground lighting, power recline and built-in bass systems. 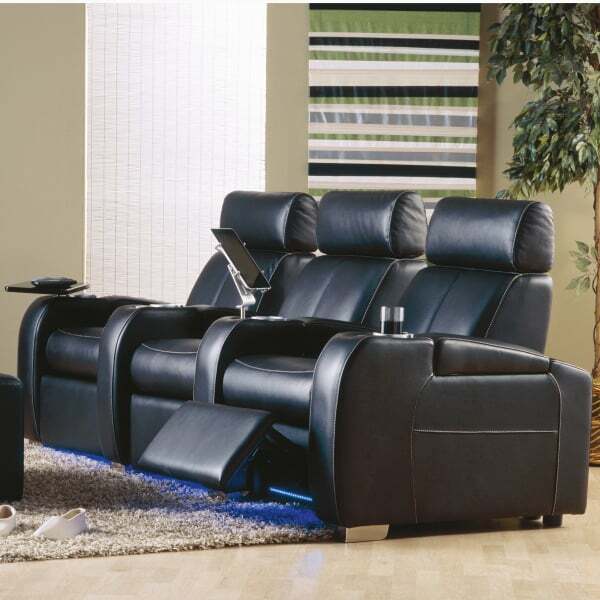 But even if you choose to pass on the extra bells and whistles your guests are guaranteed to be immersed in calm contentment, for some of the very best foam cushions and sinuous springs available on the market come standard in these home theater seats, providing a cloud-like seating experience.